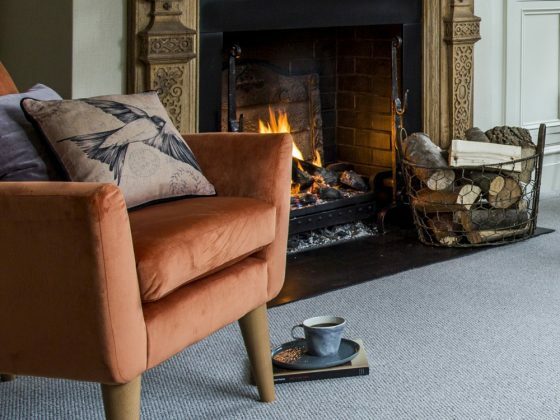 The mantelpiece, or fireplace as we call here in the UK, is more often than not the focal point of a room. 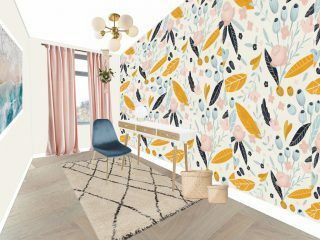 Which, in turn, offers the perfect platform to test your styling skills this festive season, with vignettes, garlands, artwork, and mirrors. 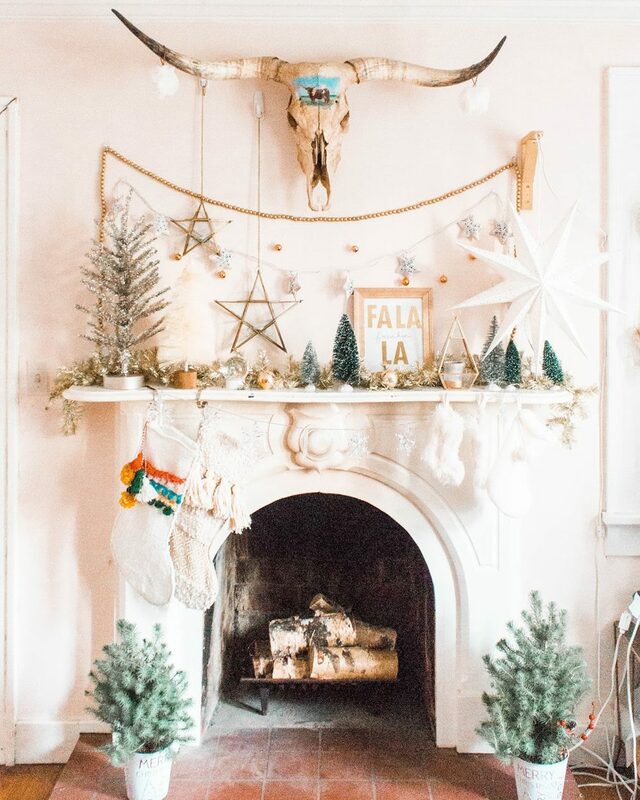 Today I wanted to share 15 ideas on how to decorate your mantelpiece for Christmas, instead of the usual card from Aunt Silvia and an old stocking hanging from the drawing pin you left in last year. 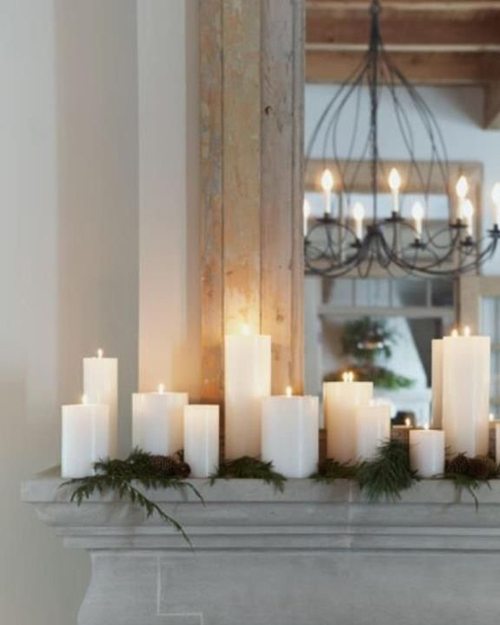 Choosing church candles in varying heights along the fireplace can create a simple but stylish effect, especially when teamed with mercury candlesticks and tealight holders. 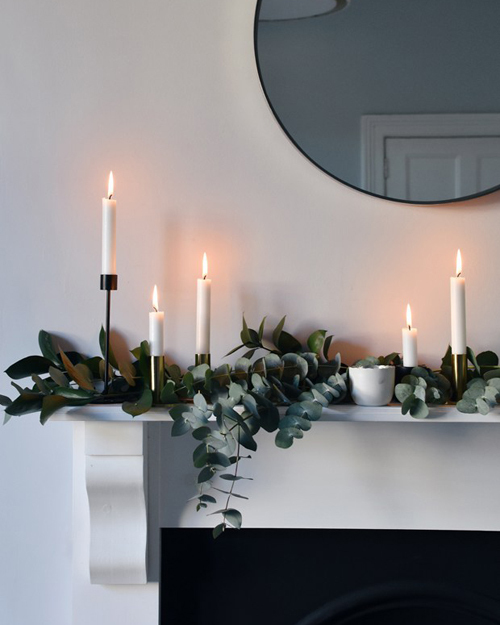 Wrap babies breath around the candles, or fur tree cuttings as seen above – even though I know it’s obvious to say, remember to keep an eye on your candles if you decide to burn them, as materials like this can set alight very easily. 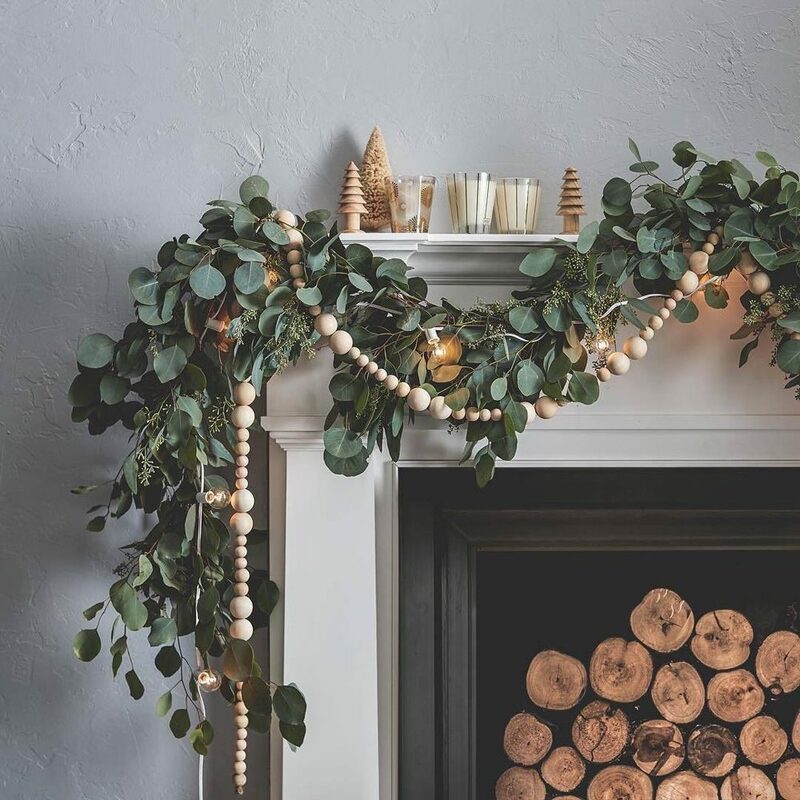 By combining eucalyptus with natural wood and simple string lights, this has created a stunning Scandinavian inspired Christmas mantel. 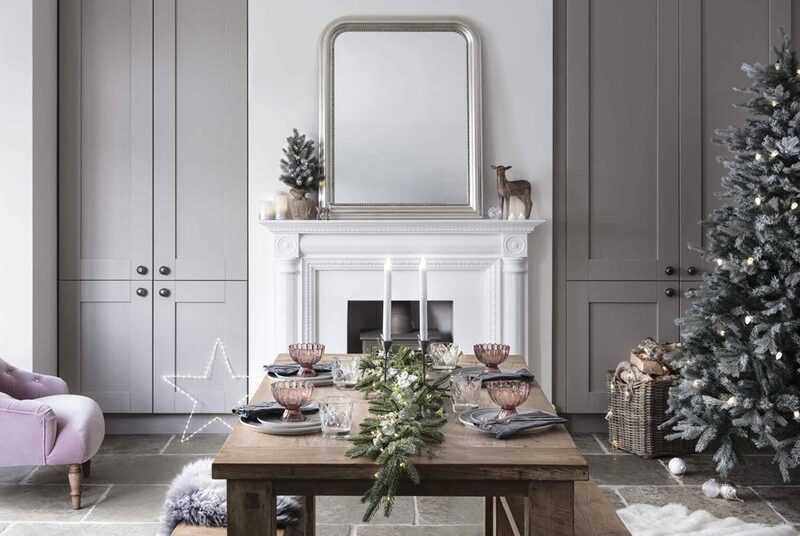 The beaded garland takes centre stage, pulled together by the use of modern wooden Christmas tree ornaments. 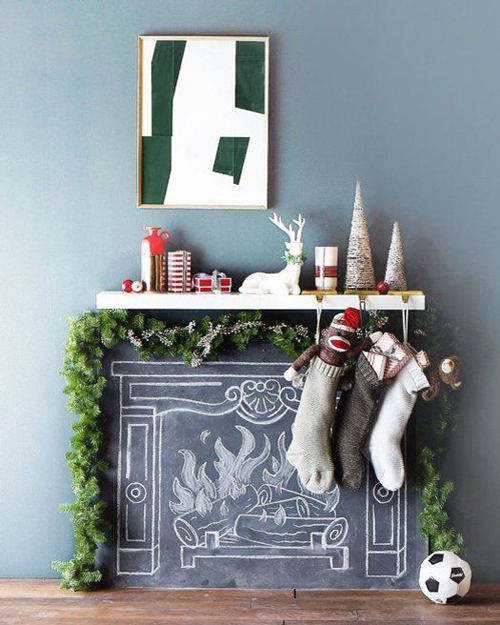 Another example of using eucalyptus is in this Nordic-inspired mantelpiece by Abi of These Four Walls. 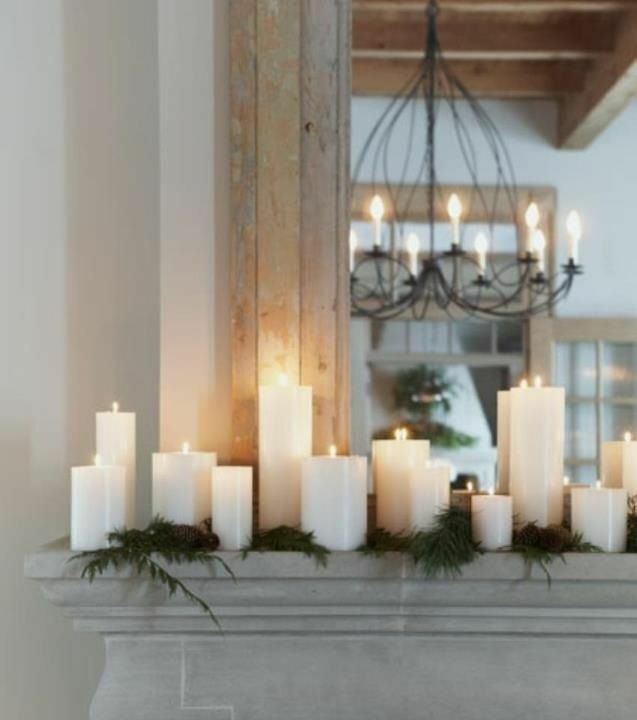 The varying heights in candles allow the eye to scan over the fireplace, and the draping of the leaves creates a garland effect. Using a round mirror over a fire surround can often soften any harsh lines. 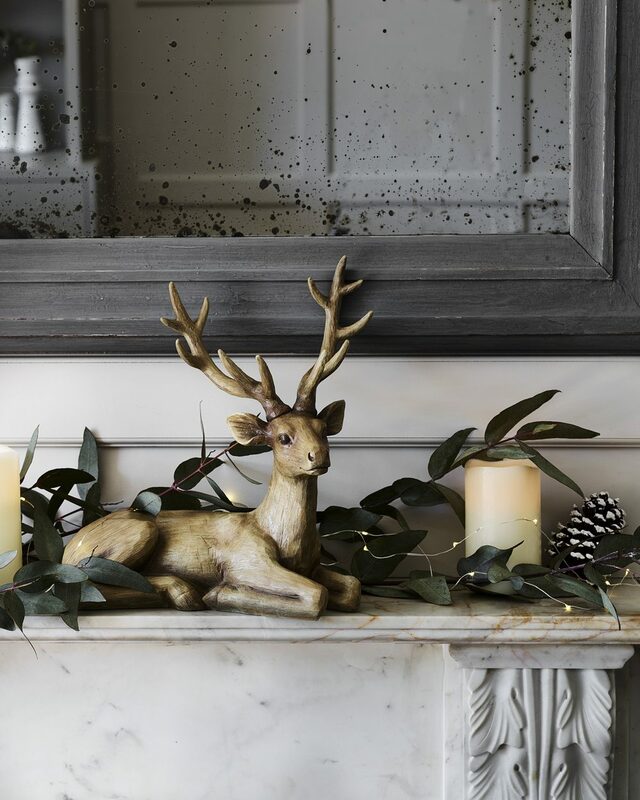 Finding unique decorative items, like this wooden stag from George at Asda allows you to add personality to your mantelpiece. 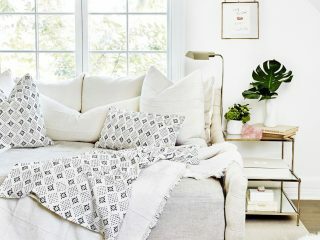 This style works especially well if the rest of the room has a Nordic log-cabin feel, with faux fur throws, textured cushions, natural woods and pinecones, bringing the outside in. 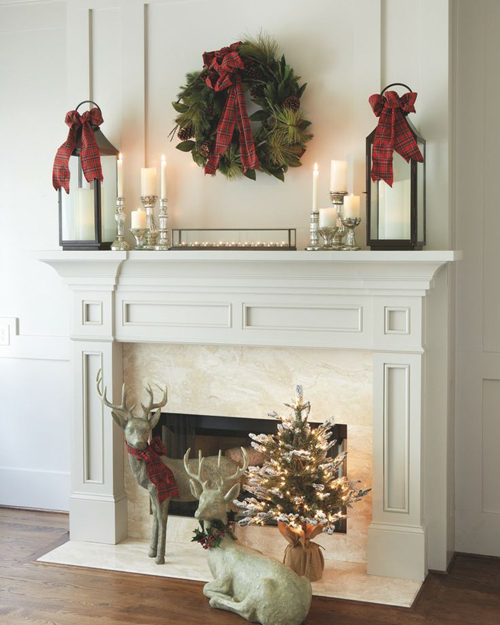 A slightly more traditional feel, create a symmetrical effect with lanterns, wrapped in festive plaid bows, candlesticks and a wreath in the centre. 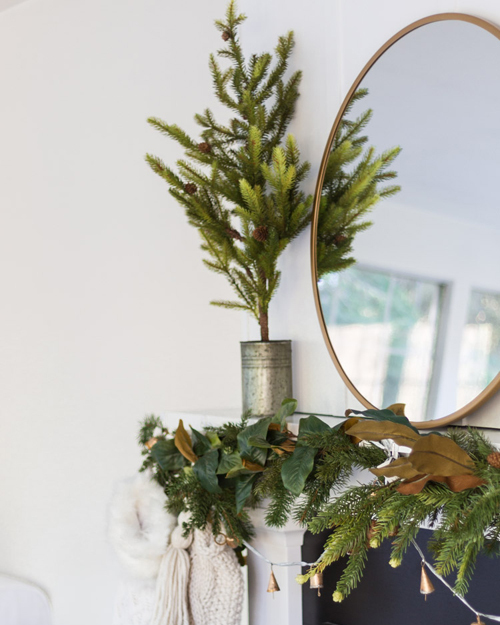 Alternatively, you can stick with the traditional theme but add a little playfulness with Nutcracker decorations, a basket full of logs and cosy textures to get wrapped up in at the side of your roaring fire. 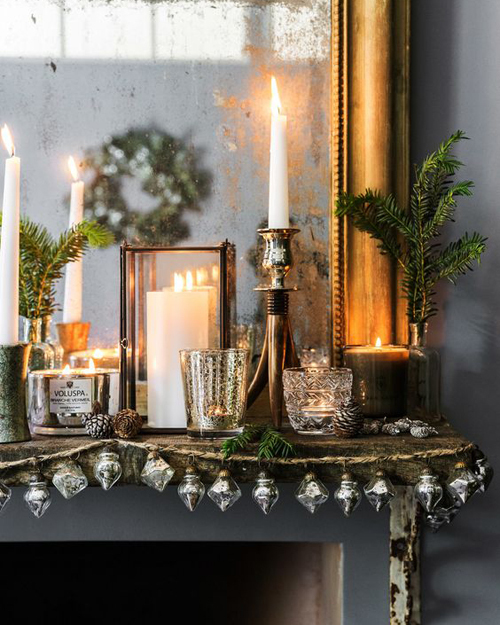 Luxury homeware retailer, Amara, show us how to create a winter wonderland with their Christmas campaign this season. 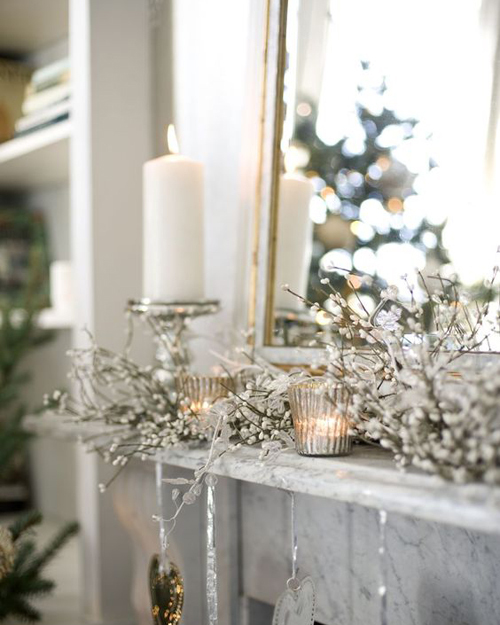 Combining a flocked garland with decorative trees, crystal candlesticks and sequin stockings, the focus is firmly on mixing textures all within the same colour palette. 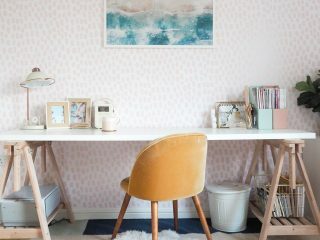 If you’re decorating on a budget, I would always recommend looking around your home to see what decorative items you have that can be utilised. 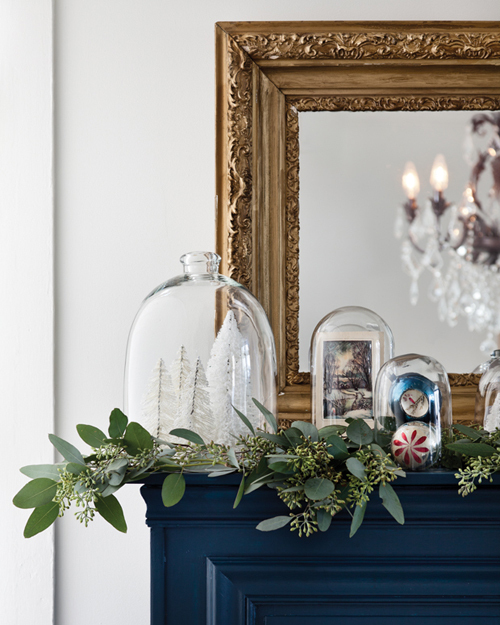 Bell jars filled with baubles, ginger jars with ribbon around, and metallic ornaments are all clever ways to style your mantel without spending a penny. If your style steers more towards the bohemian end of the scale, this fireplace might whet your appetite. 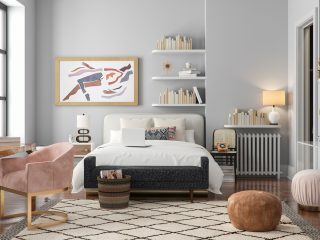 Following the “more is more” approach, this works because the neutral palette is the same throughout, and the lack of symmetry gives it a modern twist. 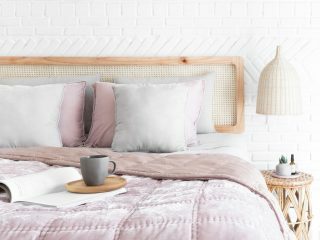 Consider hanging things from a mirror or artwork above the fireplace, as well as decorating around the surround with trees, logs, baskets and candles. 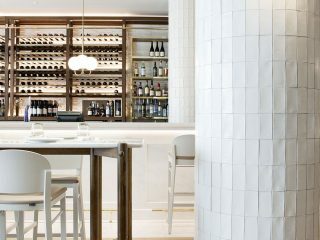 Whether you’re considering reflective surfaces or contemporary ornaments, the key is to work in harmony with your surroundings. 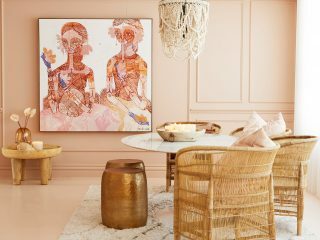 Red and white make the perfect contrast to the wall colour above – especially with this modern artwork – while the glass tealight holders and mercury garland complements the gold antique mirror. 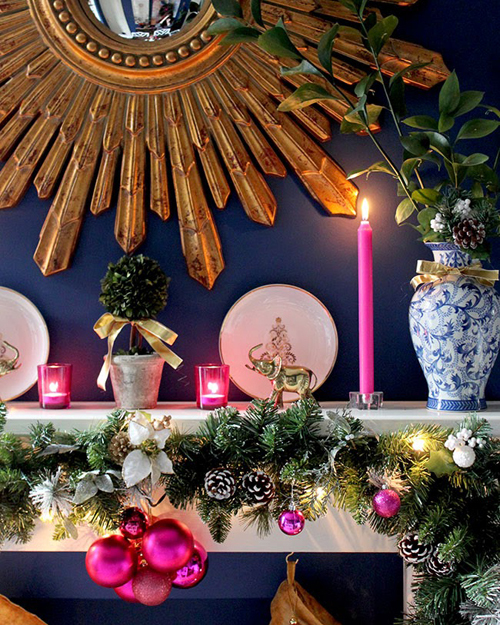 Does anything here leave you feeling inspired on how to decorate your mantelpiece for Christmas? 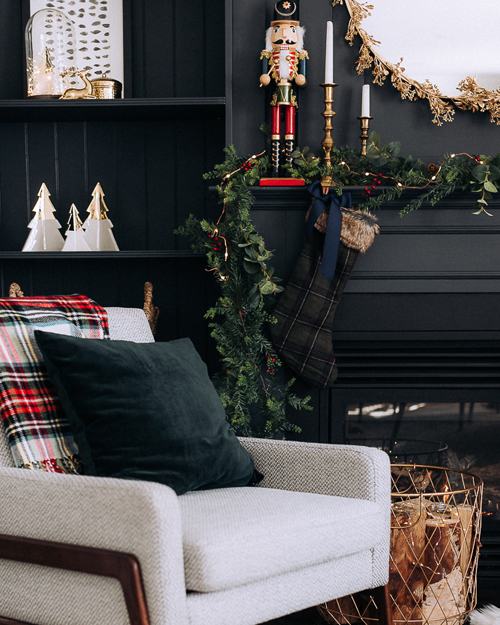 Let me know below how you’ll be styling your fireplace, and I’d love to see a picture if you ever wanted to tweet me at @Victoria_Aptno4. Such a beautiful selection! 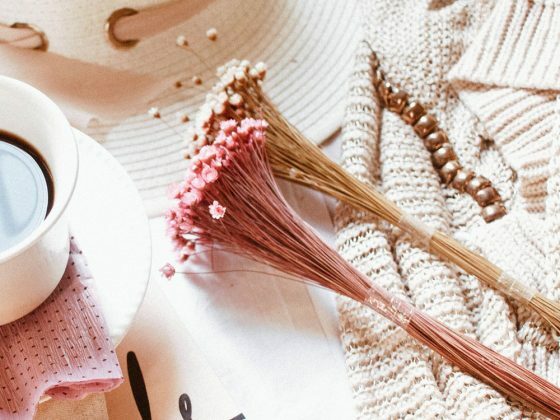 I love the eucalyptus and wood garland look. 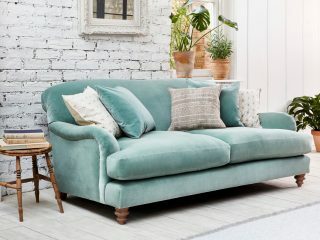 Mine has a bit of a maximalist approach, with no real theme either, but it does the job!